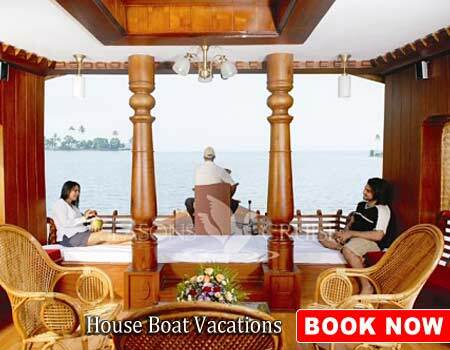 Houseboat Vacation - Feel the romantic houseboat ride on the calm backwaters of Kerala and stay in luxurious backwater resorts of Kerala. 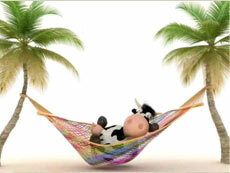 The State is blessed with beautiful beaches and back waters, which are the most important tourist attraction of Kerala. 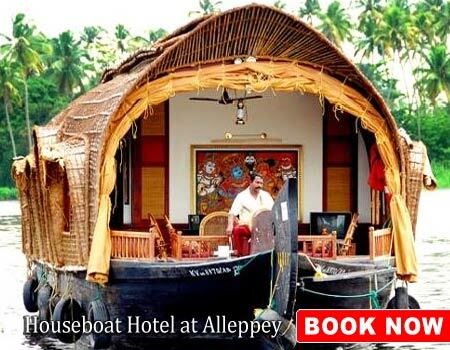 Kerala's centuries-old, palm fringed Kerala backwaters stretch over 1900 kms. 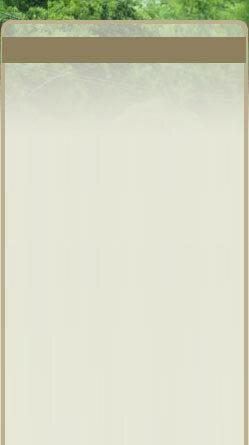 These backwaters are the prominent feature of a holiday in Kerala. 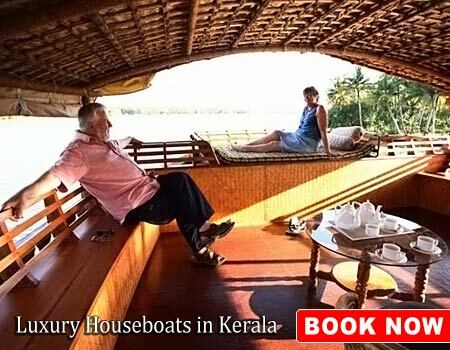 It is an incredible experience to sail down these soothing waters in a house boat and comprehend the unusual aspects of Kerala life. 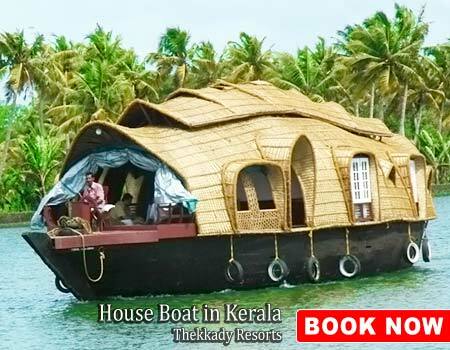 Kerala's unique houseboats, also known as Kettuvalloms helps the tourist in discovering the enchanting backwaters and lively villages of Kerala on a houseboat cruise. 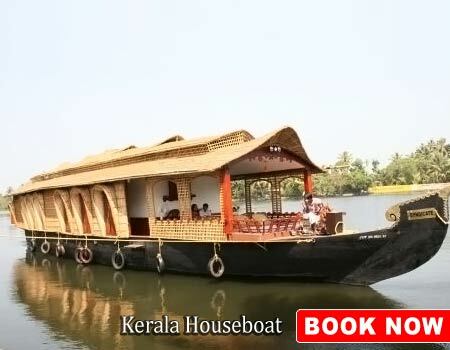 Apart from excellent outlook, these houseboats are extremely eco-friendly, as it is made of of bamboo poles, coconut fiber, ropes, bamboo mats, carpets etc. 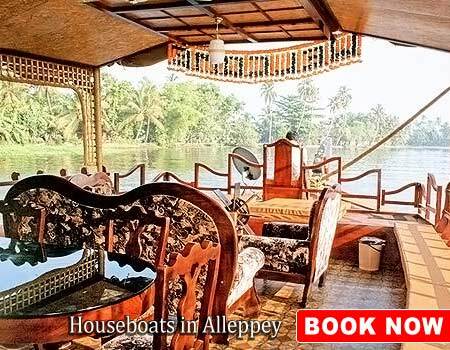 The houseboats of today are used for leisure trips, but in old days, these Kettuvalloms were used for commercial purpose. 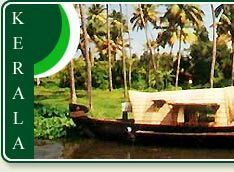 The original Kettuvalloms were used to carry tonnes of rice and spices from Kuttanad to the Kochi port. But due to the large influx of modern day transport facilities, these houseboat revived themselves as a luxurious entity. 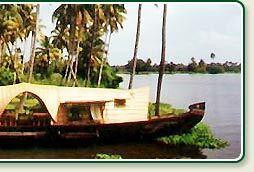 The Kettuvalloms (houseboats) of Kerala are giant country crafts, measuring up to 80 feet in length. The houseboats have all the creature comforts of a good hotel including furnished bedrooms, modern toilets, cozy living rooms, a kitchen and even a balcony for angling. Parts of the curved roof of wood or plaited palm open out to provide shade and allow uninterrupted views. 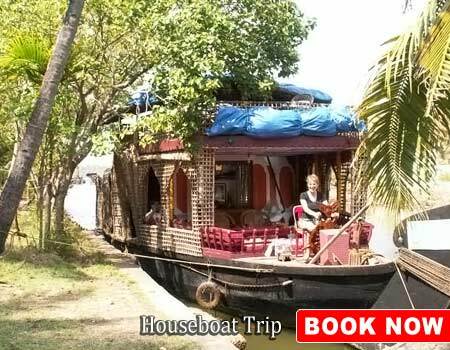 Thus, these extravagant houseboats takes you along a vast network of lagoons, lakes, rivers and canals and provide you excellent facilities of inland navigation.